Reds v Wolves: Gerrard back, but where does he start? Liverpool’s captain Steven Gerrard, absent through injury sustained whilst on international duty for England, is back in the starting line-up for tonight’s visit of struggling Wolves. Having seen their side’s last two fixtures postponed due to the weather the Anfield crowd will be expecting a big performance from the Reds to make amends for that awful 3-1 defeat at Newcastle in their last game. It remains to be seen how Hodgson intends to use Gerrard today. Lucas and Meireles had forged a good partnership in central midfield – with Meireles playing in his normal position – but Roy is expected to break this partnership up by putting Gerrard into the centre and moving Meireles out to the right. Dirk Kuyt is almost certain to start on the left side of the midfield. Daniel Agger, rumoured to be one of those players out of favour with the manager, returns from injury to take a place on the bench, with Skrtel and Kyrgiakos given the nod to start. Glen Johnson starts at right-back with Paul Konchesky at left-back in his first game since details of derogatory comments made by his mother about the people of Liverpool hit the headlines. Fernando Torres and David Ngog are the front two today for what really needs to be a convincing win from the Reds. However, although Wolves are bottom of the table going into the game, Liverpool are just three points above Wigan in the relegation zone (with one game in hand). Liverpool need to go into the new year with renewed confidence, bringing to an end a year that won’t be remembered for good things on the pitch. 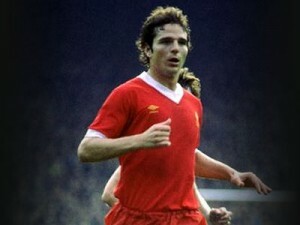 There will also be a show of respect for Avi Cohen, the former Liverpool defender and Israeli international who sadly passed away this week following a road accident. Rather than a minute’s silence, Liverpool will ask spectators to join in a period of applause for the man best remembered at Anfield for helping secure the 1980 league title. Subs: Jones, Agger, Aurelio, Cole, Maxi, Poulsen, Babel. What most annoys me about Hodgson is his inability to react to a situation. He sits on the bench looking totally baffled at what is going on and doesn’t even talk to Sammy Lee about tactics. The mark of a decent manager is his ability to see what is wrong and to make changes to correct things. If anything we were even worse in the 2nd half against Wolves than the first! It’s a well used cliche but he really doesn’t have a clue how to change things when they’re not going well. The owners have to move quickly before the rot really sets in. And why, when they gelled so well together against Villa, did he split up Babel and Ngog? Given Torres’ recent performances he doesn’t deserve a start. And moving Meireles to RW to accommodate Gerrard was suicide. If he’s still in charge in 7 days I will be extremely annoyed with the owners. This is a sacking long overdue. “I need 4 new players. The squad is good enough, I don’t need any new players. This is NOT my team. Tells a player publicly that he is not good enough. The fans have never been surportive”. These are just some of Mr Hodgson’s public comments. He either seems to be blaming others for his failure, saying what he thinks the owners want to hear but, most of all is distancing himself from the squad. Sorry Mr Hosgson, they are your players, like very other Manager, you inherited them, they are your’s to encourage, to build up, to provide self confidence. A Manager’s job in any field of business, is to build up the team and not to demoralise it and I am quite sure Mr Henry sees your lack of Man Managership as it would also seem that the fans do. Dagliesh may have been out of Mangership for 10 years, but the one ability he had in abundance was a football brain, to bring other members into the game, this was one of Bob Paisley’s highest points of praise of his “My wee Kenny”, as he called him. LFC have been very fortunate to have had Shankly, Paisley and Dagliesh as Managers, men who could see the potenital in any players and play him in the right position, even if was a different position than he had previously played, ie Kennedy. Dagliesh will still have this ability and even if it only until the end of the season he would make a better Manager than Mr Hodgson also, he deserves to be given a go.